It is very common for us to set a focus in choosing the house concept and ideas that we have when starting to design our house. There are so many factors to consider and remember when we plan to design or even renovate our home. Now we will show you a house that is a result of a thorough and comprehensive study of the relationship between the public and private spaces. The designer said that it is a result of their architectural tour. They have considered the main axis of the house as a part where the transitions, visuals and scales are achieved. 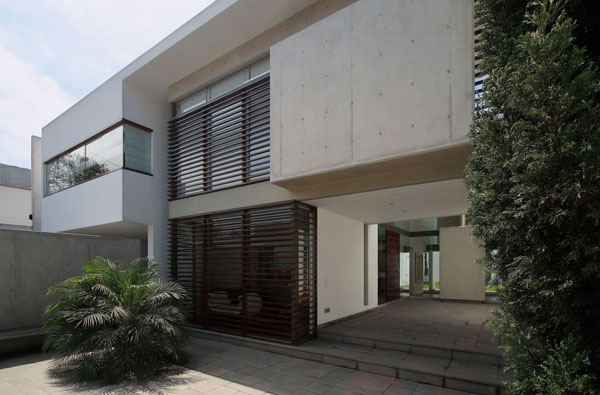 Well the name of this house is Patio House and it is built in San Isidro, Lima Peru. There is an initial tour that crosses the two patios. 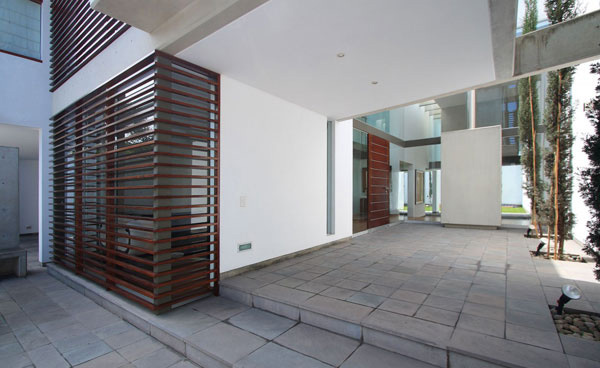 First is the patio that redirects the client to the second courtyard. There is an incredible volume of the chimney located between the second hall and the living room. Also there is an easy access in the environment inside the house through the courtyard from the side. 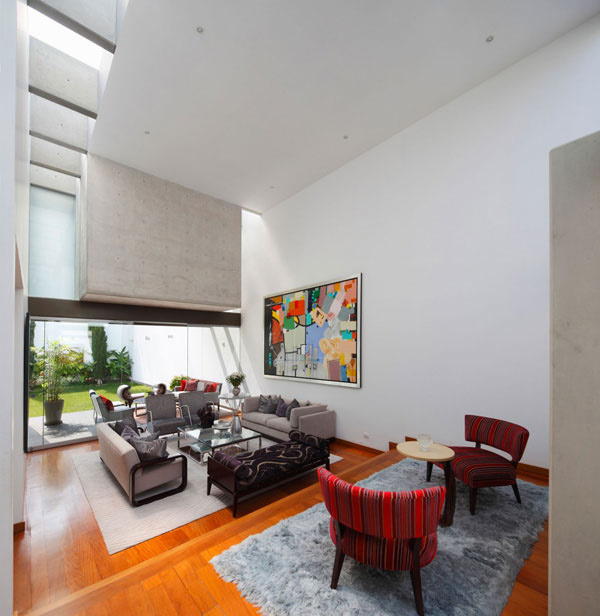 The designer also uses the bridge that connects the two rooms of the house which can allow the different scale within this double height space. The client may enter the house through a glass skin and he will see the internal of the building in a wall that runs lengthwise. 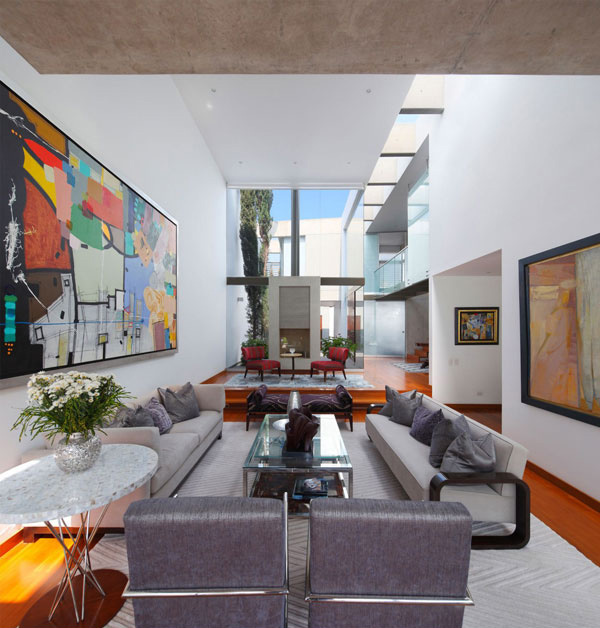 This wall gives out a great opportunity to see the different areas in the house that totally involves the social nature. Now are you ready to see the interior and exterior of this house? 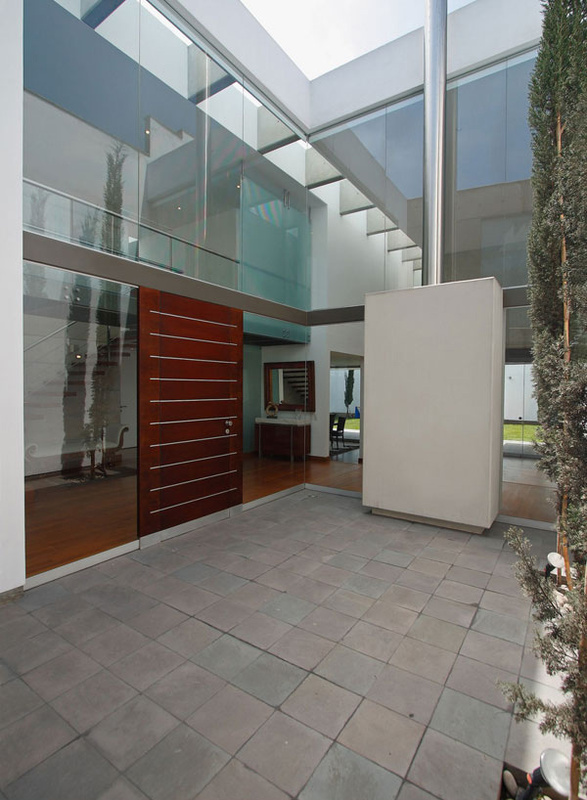 You may check the images of this Patio House below. By looking at the cantilevered volume of this house you will know that there are so many features that await inside. 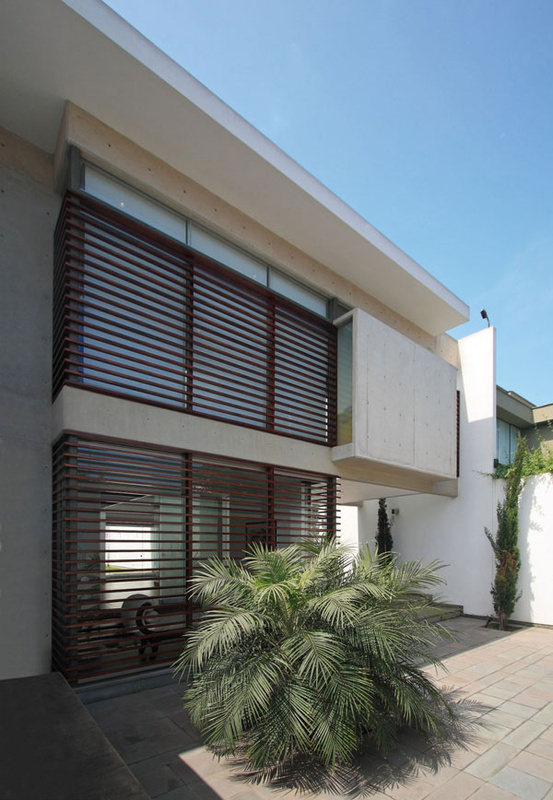 The designer also maintains the presence of plants and landscape in the exterior. In the entrance you will see the clean and spacious area where you can also stay for a while and feel the fresh air. Look closely at the open door that seems to invite the guest to come inside and explore the other parts of the house. 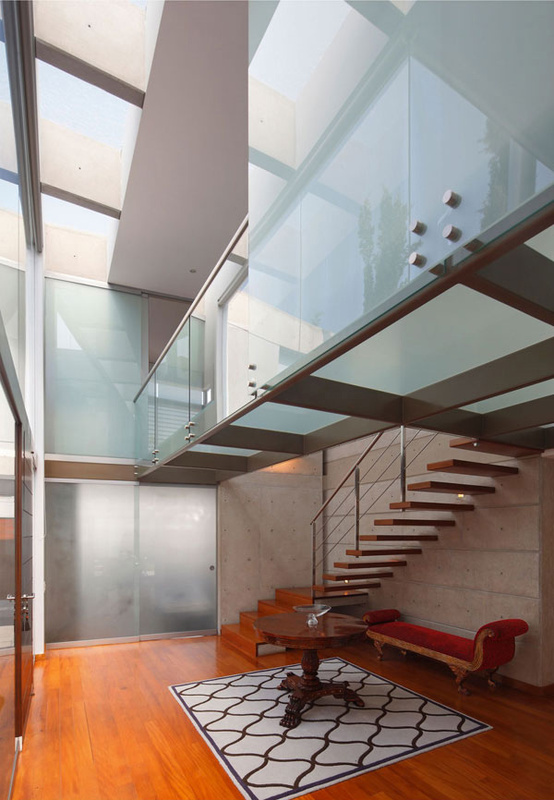 The glass walls used here allows the sunlight to enter the interior and sustain the energy usage. The furniture set in this space is perfect for it adds life to this area which gives a direct view to the landscape. 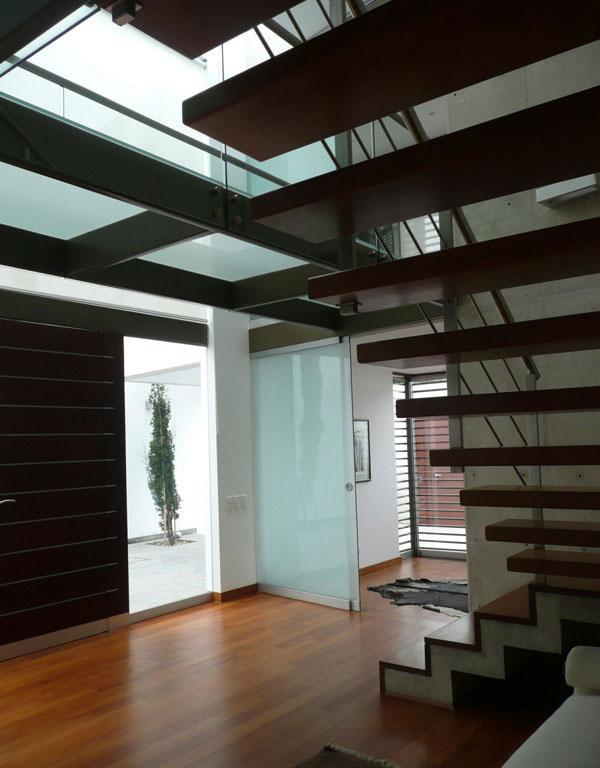 The wooden brown stairs here brings the homeowner to the different parts of the second level in the house. 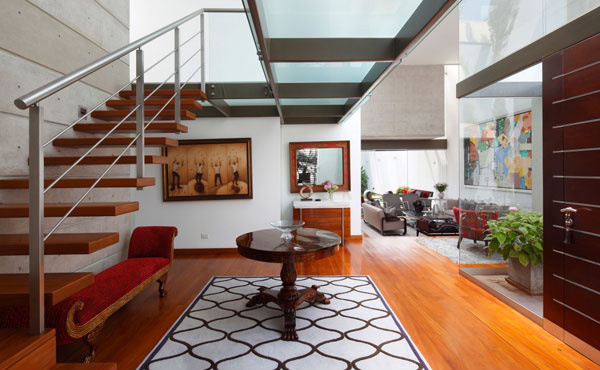 The mezzanine used glass materials which made it look very modern. Although some parts of the house are a result of contemporary concept but still you can see the traditional furniture here. A combination modern sofa design and classic design are set here to break the plain white palette in the wall. Different textures of the wall art, sofa and walls are displayed here to combine the different ideas of the designer. 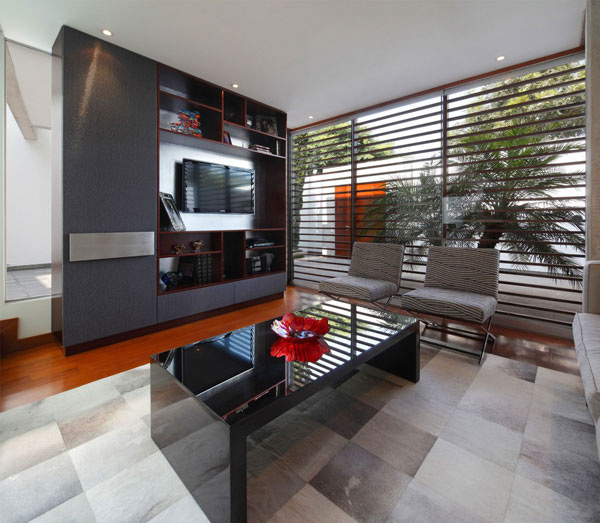 In this entertainment area, the modular wall system provides ample storage spaces for the homeowners. Here is the first thing you can see when you reach the second level of the house – just simple and neat. 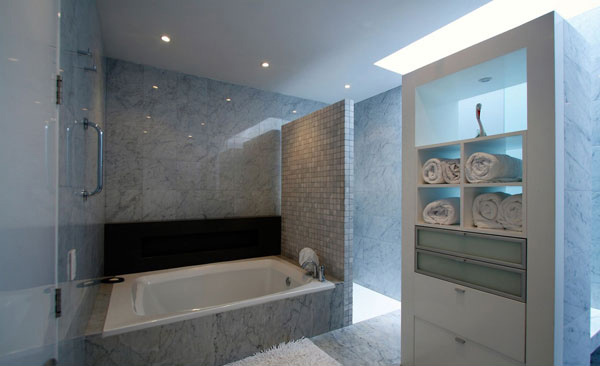 Grey, white and sky blue mosaic tiles are used in this bathroom to maintain its cleanliness and peaceful effect of its color and lights. 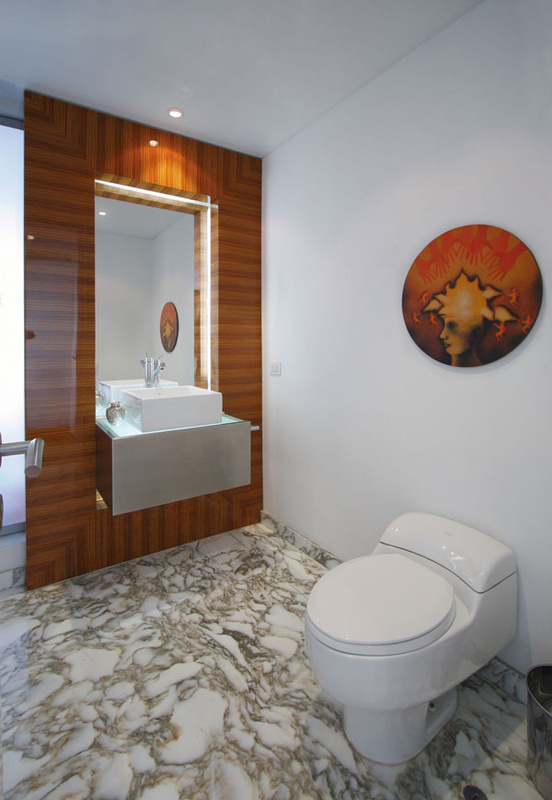 The wooden side of the basin and the wall art jives with the mosaic tiled floor and the white walls and urinals as well. 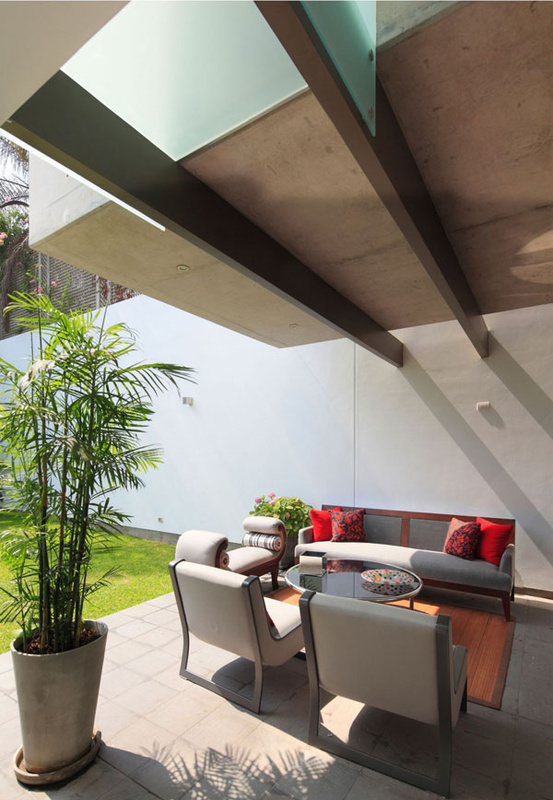 The designer used iron to support it from below and concrete to support it from above, that it can separate it from the main body of the house. The skylight also runs along the social spaces of the house. This allows the capture of the sun path throughout the day from the living room. 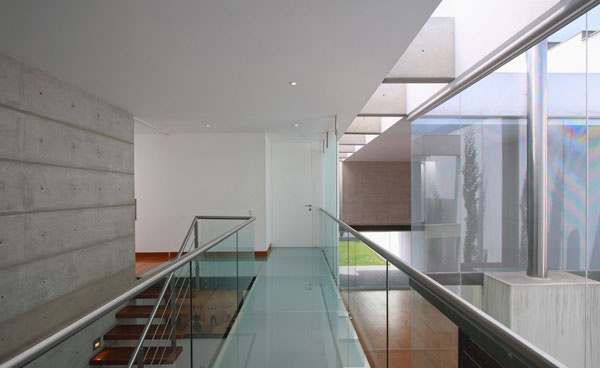 Well the cantilever volume of this house becomes part of the terrace which lies on the first floor. 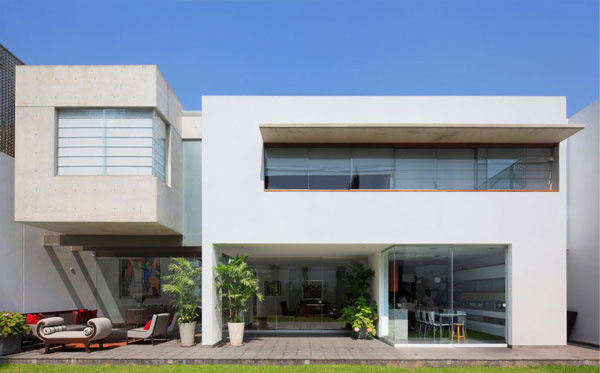 And so with all the excellent features mentioned of this house above we may say that the Seinfeld Architectos through Cynthia Seinfeld as the architect-in-charge fully achieved its goals and focus. The design and its incredible volume may surely provide us another set of ideas and inspiration to focus when we decided to design a house similar to this.